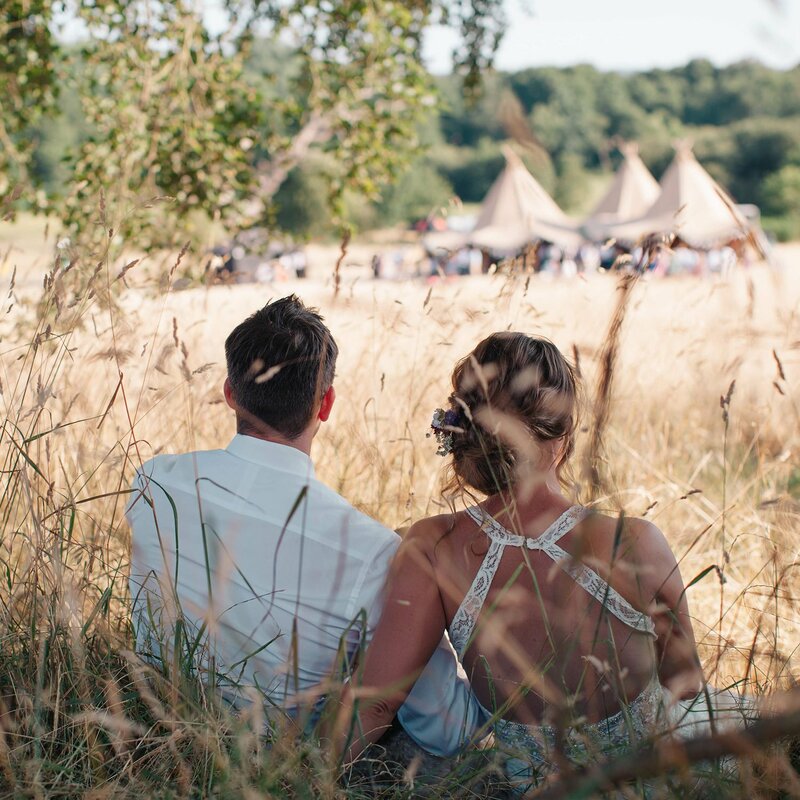 Wedding trends come and go, whether it’s the festival style tipi wedding setup, floral headbands, velvet gowns, small bouquets or cascading large ones. 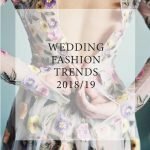 However the one and only trend that endures, and only really actually matters, is that your wedding is a reflection of you as a couple. 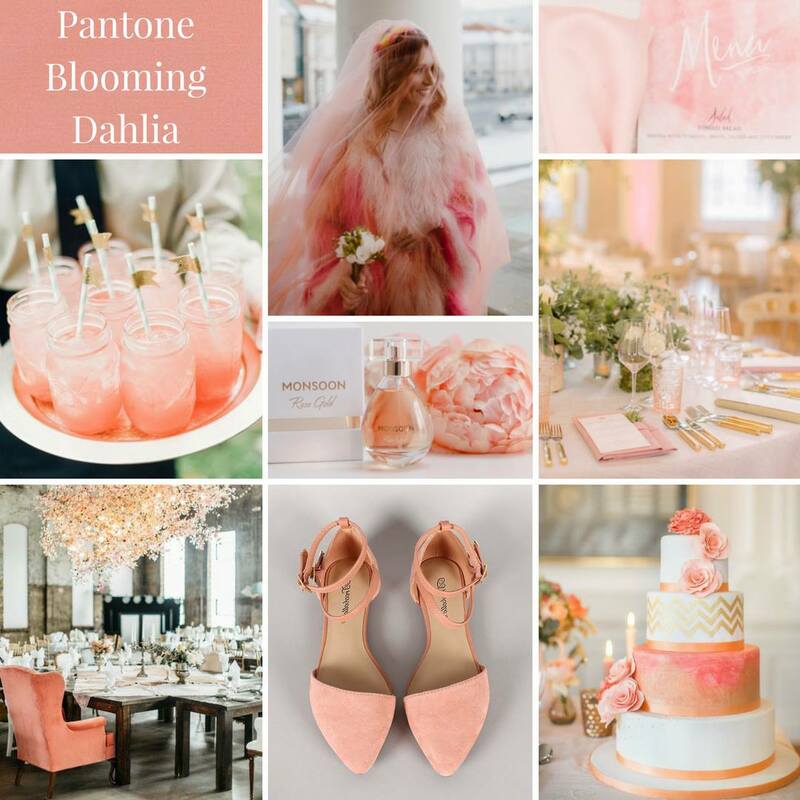 I believe that your wedding day should be personal and unique, just like you. As one of the most special and joyful days of your lives, this presents an opportunity and freedom to create the vibe that you want. 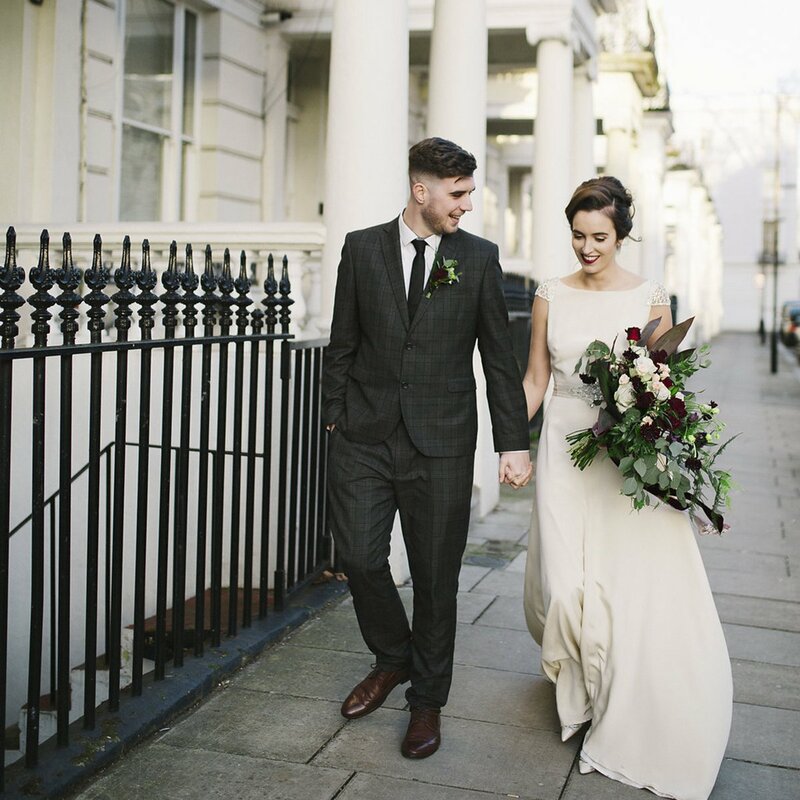 Whether that means embracing a personalised, celebrant-led ceremony and having the freedom to choose an outdoor wedding venue, rather than being limited to a religious one, or perhaps choosing a more laid-back event that encapsulates your style. Indeed, with so many ideas and options available to you, you really can have your wedding, your way! 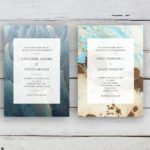 Your wedding stationery is no exception! There are no rules and you should be driven by the sort of style that you wish to create. I love helping couples explore ways of adding their personality to the look of their big day, through their stationery design. This could be as simple as incorporating a particular colour scheme or font style into my semi-custom stationery range, or creating something that is totally bespoke to them. 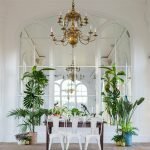 Many couples are also becoming more ‘mindful’ too about their wedding plans and are wanting to make more sustainable choices, be it through their choice of British grown seasonal flowers, forgoing wedding favours that often go to waste, or seeking out sustainable fashion choices that can be re-worn. When it comes to stationery, I am mindful of sustainability too and I ensure that I use FSC certified paper stocks for our Studio Collection and bespoke stationery, as standard. I also look at interesting ways to innovate and utilise different print formats and finishes, such as my All-in-One concertina concept. This is a tri-fold format, with a tear off RSVP postcard (so no RSVP envelope required), which reduces both the amount of paper used and printing! Perfect for the modern, eco-conscious couple and it’s also a pretty cost effective and practical option too! If you’d like one of the designs incorporated into a different format, I’d be more than happy to create it especially for you. 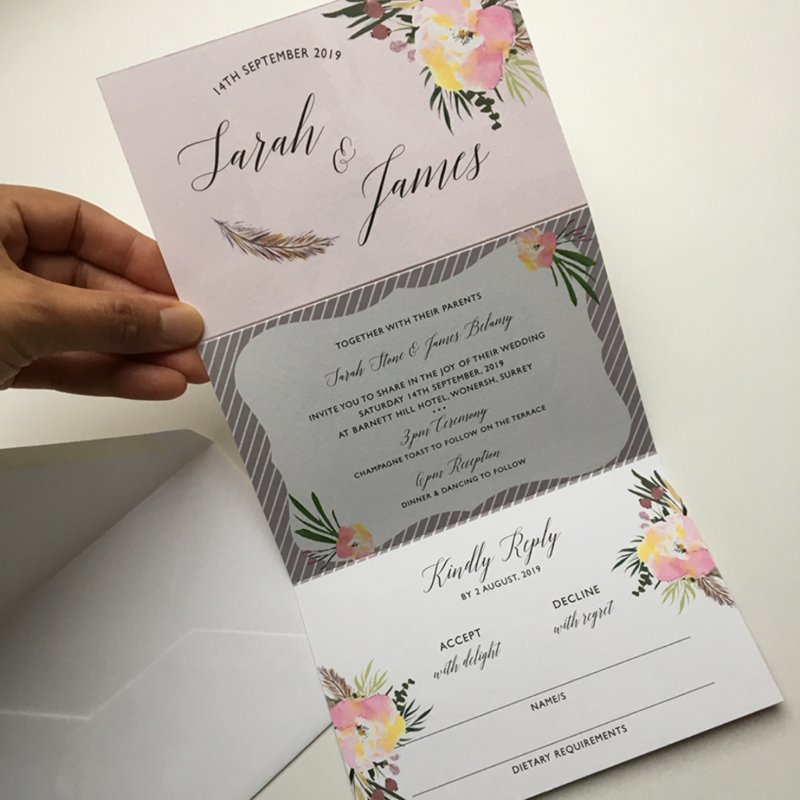 Start your wedding stationery journey today and get in touch.